A recent news story used the statistics found in the 2006 Prevention Needs Assessment Surveyfrom the KYDS Coalition, sponsored by the Broome County Mental Health Department in Binghamton, New York. What parents of ADHD boys should watch for as their sons pass through adolescence. The Feingold Program (also known as the Feingold Diet) is a test to determine if certain foods or food additives are triggering particular symptoms. It is basically the way people used to eat before "hyperactivity" became a household word, and before asthma and chronic ear infections became so very common. Used originally as a diet for allergies, improvement in behavior and attention was first noticed as a "side effect." It is a reasonable first step to take before (or with if already begun) drug treatment for any of the symptoms listed on the Symptoms page. 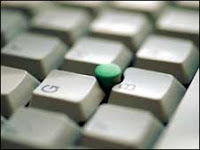 As a victim of E-Venge (Sue Scheff) I know firsthand how deadly a few keystrokes can be to a person, a business and a life. I fought back - and won an uprecedented jury verdict for damages of over $11M for malicious and defamatory online comments. Free speech will not condone defamation - this is not about the first amendment. I will continue to be a voice in promoting Internet Safety without infringing on free speech. My meetings with my Senator and my Congresswoman are the beginning of a long journey towards positive change. Seven expert strategies to help single parents raise confident, successful children with ADHD. Click Here for Entire Article. 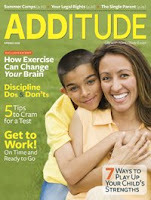 ADDitude Magazine offers great information for parents and adults of ADD/ADHD. As a single parent with an ADHD child, this article offers a lot of insight. Monitoring your child will make your child much less likely to use Inhalants or other drugs. · If you find your child unconscious, or you suspect your child is under the influence of an Inhalant, call 911 immediately. If you suspect your child might be abusing Inhalants, call the Poison Control Center at 1-800-222-1222; or call the '1-800' number on the label of the product. 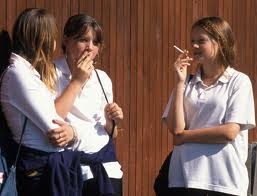 According to the Partnership for a Drug-Free America, "if you talk to your kids about the risks of drugs, they are 36% less likely to abuse an Inhalant." Parents can make a tremendous impact on their kids' choices by talking to them. "Sue Scheff (Founder of Parents Universal Resource Experts, P.U.R.E.) and Author of Wit’s End! Applauds the April 24th GAO Hearings on "Child Abuse and Deceptive Marketing by Residential Programs"
In recent news, the United States Government Accountability Office (GAO) has conducted a study revealing concerns about abuse and deaths in certain programs for struggling teens as well as deceptive trade practices of referral agencies within this industry labeled, teen-help. At P.U.R.E. we are deeply touched by the publicized reports, which found thousands of cases involving abuse and even death at facilities licensed to help troubled teens. It is disturbing to hear about marketing arms (referral agencies) that prey upon the desperate parent. When I was a parent at my wit’s end, I became prey for a referral agency that made many false promises and my daughter suffered the consequences. Sue Scheff is a parent advocate who founded Parents’ Universal Resources Experts, Inc. (P.U.R.E.) in 2001. She has been featured on 20/20, The Rachel Ray Show, ABC News, Canadian CBC Sunday News Magazine, CNN Headline News, Fox News, BBC Talk Radio, and NPR, discussing topics of Internet defamation as well as her work helping troubled teens and their families through her organization. To learn more about P.U.R.E. at http://www.helpyourteens.com/ and to contact the author, visit http://www.suescheff.com/. 5 ways for parents of ADHD children to establish a reliable structure and solid limits. Your child with attention deficit disorder (ADD ADHD) is loving, intelligent, cute, creative — and often wants his own way. He has the talk and charm to out-debate you, and will negotiate until the 59th minute of the 23rd hour. Like salesmen who won’t take no for an answer, he can wear you down until you give in to his wishes. An ADHD doctor talks about the common symptoms, causes, misconceptions and treatments associated with an ADHD diagnosis. 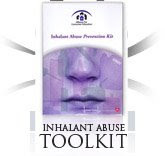 Inhalant Abuse is an issue many parents are not aware of, they are very in tune to substance abuse regarding drugs and alcohol, however huffing seems to be a subject that is not discussed enough. Wow - what a great informational website and magazine. ADD/ADHD is widely diagnosed among many children. 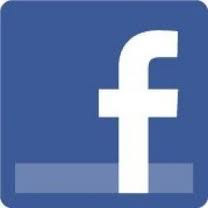 Learn more about this - click here. As a parent of an ADHD child, this website has some fantastic articles about ADD/ADHD kids and helps to better understand some of the behavior. Sue Scheff continues to be a voice against CyberSlander. As both a victim and survivor of Internet Defamation, she has become a leader in promoting Cyber Safety. On April 17th Sue Scheff appeared on the Rachael Ray Show talking about Cyber Slander and promoting her upcoming new book - Wit’s End! Free Speech will never condone defamation. In an unprecedented jury verdict for damages, Scheff was awarded over $11Mfor the malicious and defamatory online comments from a woman that wanted E-Venge. For more articles on E-Venge - check out http://www.suescheffpodcasts.com/. Sue Scheff retained the priceless services of Reputation Defender. If you are a victim of Internet Abuse, take a moment to review the services Reputation Defender has to offer. If you are a parent, it is important to consider Reputation Defender MyChild to help protect your child online. It is the time of year that many summer programs are actually filling up! Finding a good summer programs, such as Leadership Programs, can help your child build their self esteem to make better choices as well as motivate them to reach their highest potential. If your child is starting to struggling in school, whether it is peer pressure or other issues, you may want to consider summer alternatives. If you are looking for a variety of summer programs - visit Camp Finders- a fantastic free service for parents. They will give you options to fit your child's interests. This is an exceptional and inspirational story for any parent that have struggled with today teens and substance abuse. As a parent advocate(Sue Scheff) I receive daily calls and emails from parents that are at wit's end with their child (whether it is a teen, pre-teen or young adult). There is hope, never give up and know that others have traveled this road and learn from their experiences. Inhalant Abuse is a growing problem with teens and pre-teens and a serious concern for parents today. Inhalant Abuse is a lesser-known form of substance abuse, but is no less dangerous than other forms.The Substance Abuse and Mental Health Service has reported that more than 2.1 million children in America experiment with some form of an inhalant each year and the Centers for Disease Control lists inhalants as second only to marijuana for illicit drug use among youth. As a parent advocate, I believe parents need to be aware of this critical issue today. I am extremely grateful to the parent that wrote me and asked me to speak out and spread the awareness. She lost a son from inhaling air freshener. As a parent, she always spoke to her kids about substance abuse, but never knew about Inhalant Abuse. Read more about this growing deadly epidemic at http://www.inhalant.org/ - it may save a life. As a parent of an ADHD child, I have heard of the Feingold Diet that many parents have used successful, most replacing their medication with this diet. The new and updated Feingold diet has been revised to fit today's busy family life. Find out more at http://www.feingold.org/ or http://www.feingold.org/pg-book.html for information on this beneficial book. Some net sites can pose dangers for unwary children - parents need to become familiar with ways to protect your kids online. Connect with Kids offers a wide variety of programs to help parents with today's teenagers and children. They offer weekly articles with "Tips for Parents" to help keep you informed. 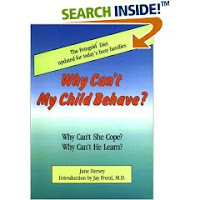 Topics range from ADHD, ADD, Drug Abuse, Teen Obesity, Substance Abuse, and so much more.